The Aroostook War, also referred to as the Lumberjack's War, was a confrontation between the US and Great Britain over the border between Canada and Maine. And I thought it had a nice ring to it, thus the name. 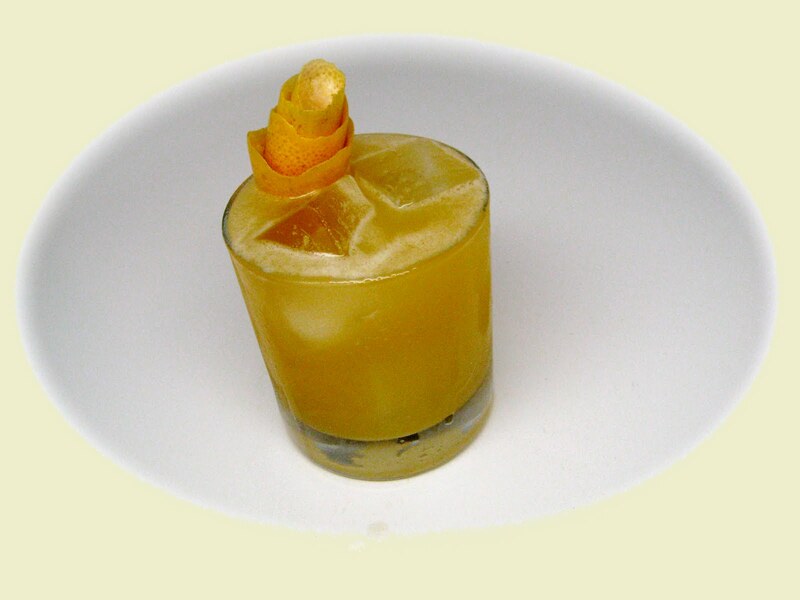 Speaking of muddling, the PUG muddler is what you should use. They are beautiful, tall enough to easily reach the bottom of the glass, comfortable, and very effective. They are hand turned by Chris Gallagher, and when I got mine they were not available retail anywhere and I had to order directly from him at jcgallagher08/at/hotmail/dot/com, although they seem to be available from The Boston Shaker currently. He makes them in a variety of woods, some with varying availability. The standard woods are maple, cherry and jatoba woods, but when I contacted him he also had mexican rosewood (bocote), figured maple and osage orange. The rosewood is what I got and what you see here. One would make a great stocking stuffer if you're looking for a nice gift, I'd say.